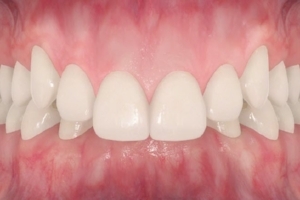 While most orthodontists agree that palatal expanders are useful in eliminating posterior crossbite, they also have several other beneficial effects like eliminating crowding, reducing the prevalence of impacted permanent canines, and increasing the size of the nasal cavity (the airway). How does orthodontic treatment reduce dental injuries? Children with excessive "overbites" are more prone to dental injuries of the front teeth. Early orthodontic treatment can reduce the protrusiveness of the front teeth and the frequency of them being damaged. How do braces affect a child's self-esteem? Children have enough to worry about in the elementary and junior high years. They are told they are too skinny or too heavy, too tall or too short, too quiet or too loud. An investment in a beautiful smile will give them one less thing to worry about during these important formative years.